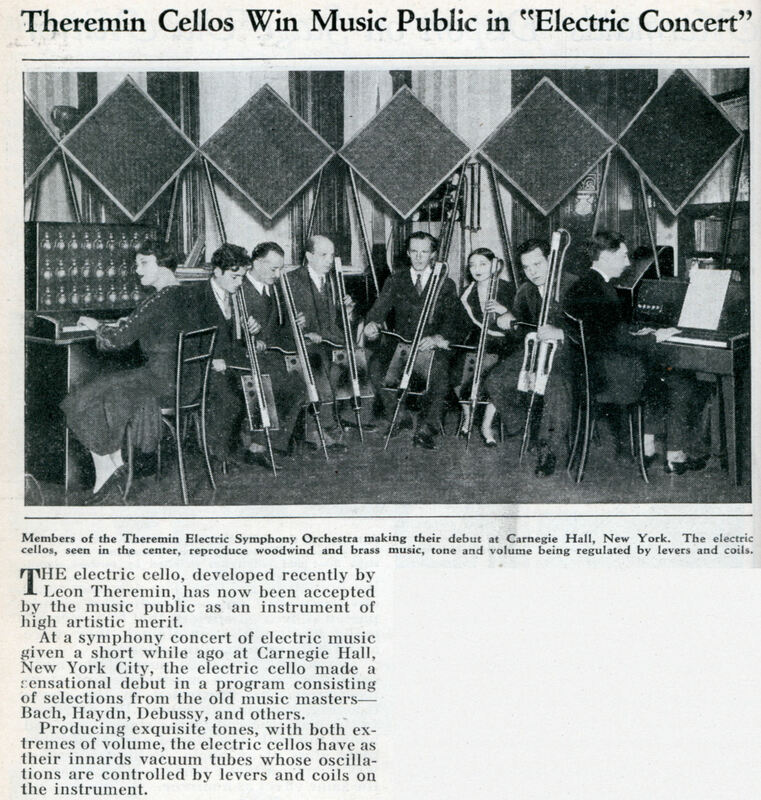 THE electric cello, developed recently by Leon Theremin, has now been accepted by the music public as an instrument of high artistic merit. At a symphony concert of electric music given a short while ago at Carnegie Hall, New York City, the electric cello made a sensational debut in a program consisting of selections from the old music mastersâ€” Bach, Haydn, Debussy, and others. Producing exquisite tones, with both extremes of volume, the electric cellos have as their innards vacuum tubes whose oscillations are controlled by levers and coils on the instrument.